An Aquarius born persona will be generally shy and very quiet. They can however be very energetic with a unique way of doing things. They like to commit to deep thought as well as concentrating on sizable deals. They are in most instances very intellectually gifted and will always have zeal to help other people. They are not prejudiced when it comes to their view of other people. If you are dating an Aquarius, they will be able to help solve other people’s problems. An Aquarius sun sign will in most cases adapt easily to whatever surrounds them but they also value their freedom. This allows them to get rid of other distractions and be able to re-energize their power. Those born under the Aquarius star sign will always see a lot of possibilities in the world. They are fully represented by the Air sign. This allows them to use their mind at every instance to help and generate new ideas or solutions. When dating Aquarius man or dating Aquarius woman, you would be best placed if you came into the relationship fully focused. Reason: an Aquarius zodiac sign will be so original and will always be a forward thinker. 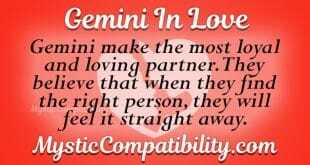 This means that, for those who are not traditionalists, they might find an Aquarius quite uncomfortable. They seem to concentrate more on petty issues. 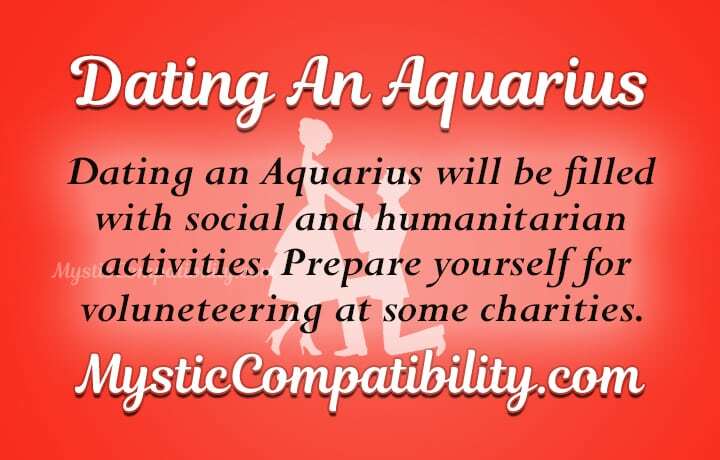 Let’s see if you will be able to get an Aquarius to commit on the first date. Dating Aquarius can be a very interesting adventure but can as well pose some challenges. To those who are fond of great thinkers and looking to work with problem solvers, then an Aquarius would be a perfect match. They are free-spirited and like to be with people who can make them think more critically. Those who would not be intimidated by the intellectual thinking of Aquarius will find the relationship worthwhile. However, if you are the traditionalist who is confined to the one and only way of doing things, then dating an Aquarius would pose a serious challenge. The things that attract them might be different from what you would consider attractive. In that case one needs to be very careful on how to date Aquarius. So, Why Date An Aquarius? Dating Aquarius can be a wonderful experience to those who love people who are great thinkers. An Aquarius is most delighted by those human beings who like to put their best wits forward. So if you are the kind who always engages your best brains to dealing with life issues, then an Aquarius will be your best match. *The good thing with an Aquarius partner is the fact that they will always want to also learn from their partners. This will allow the relationship to develop with fast pace*. Aquarius in love can be best described as people who will always stimulate an intellectual way thinking and doing things. An Aquarius will always want to be one step ahead of the rest. Their quick thinking and analysis will always come in handy when it comes to having an alternative solution to every instance. *If you are looking to have a great adventure with great thinkers, then dating Aquarius man or dating Aquarius woman would be the best idea*. Aquarians will always appreciate an open mind and will be ready to delve into mightier conversations with you. Dating Aquarius man or dating Aqaurius woman will give a chance to fathom intelligently. In the end, he or she will be a better person and hence able to have a glamorous partnership. Even if you spend a minute on a date with Aquarius, you will still have the urge to return back to them. They are kind, clever and witty beings. They always crave for self-assurance and creative thinkers. So don’t forget to stand up for their end of day deals. There is an aggressive cloud that seems to cover the Aquarius world. They were created to surprise anyone at any time and day. They just crave for someone who helps them to stretch at any given level. So, if they happen to say a negative word to you in the morning, you better ignore them. Their fiery nature comes from their heart and not their mind. Being secretive to the brim, Aquarians will never let go of their ego. Their desire to have some time alone can work against a relationship. They devote themselves to their own causes and thus might end up being detached to you emotionally. It can reach to a point where perfect things for them might be offensive to you while you are dating Aquarius man or dating Aquarius woman. Nothing impresses an Aquarius more than having a partner who can appreciate their way of thinking. It impresses the water bearers to date like broadminded people. Don’t forget to follow the following tips when gettng Aquarius to commit. In Aquarius world, lots of possibilities happen at some point. At this dating phase, they are not yet explored. But as time passes by they will appreciate a partner who is capable of viewing life in a humor manner. They will fall for you more if you don’t offend their adventurous way of doing things. So, allow them to do things their own way. If they want to concentrate more, let them be. If you prefer to help the needy, then this zodiac sign will love you to the bone. They might need some time to think but also want someone who listens more. Therefore, you have be a great and tremendous listener. Be ready to laugh even when repeating similar joke. An Aquarius ballooned impulsiveness may turn you into an obsessed partner. They are never wrong and can never harm anyone. Nonetheless, they end up making mistakes, for which most of the time they never apologize. This shows that they can never regret when it comes to their act. So, just flow with their attitude and never try to swell their temperament. One thing that will draw you back from an Aquarius is their emotional imbalance. There are no any electric impulses that keep them active. But their thirst for that level of freedom makes them have an emotional imbalance. You need to be very careful at this point. To impress them more, you need to practice patience more than anything else. 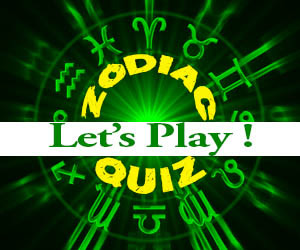 Dating Aquarius men or dating Aquarius women means an intellectual relationship. There is one major thing that distinguishes them from other star signs: being unpredictable. When in a relationship, they rarely weaken your trust. But at times you need to go beyond your limits. I mean give them more freedom and they return back the favor with mutual love. “Die or evolve” is a word phrase that makes 100% sense when dating an Aquarius. They like to expand their mind and improve their world on their own. Their main aim is to grow as an innate individual and not as a dual personality. They are more likely to expect the similar change from you. In that note, you shouldn’t criticize them but follow along like an obedient partner.